Some photos taken "behind the scenes" or elsewhere. 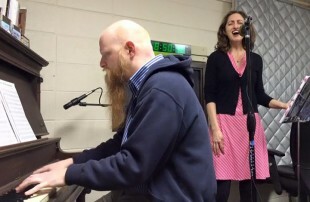 2015, December: Live performance for WORT, Madison, WI, spreading holiday cheer. 2017, Oakwood Village Performing Arts Center, Madison, Wisconsin. Playing Miranda, The Purple Bird of Paradise, in a children's show at the Broadway Palm Dinner Theatre in Phoenix, Arizona. Paul and I and our sweet little Sophie (may she rest in peace). 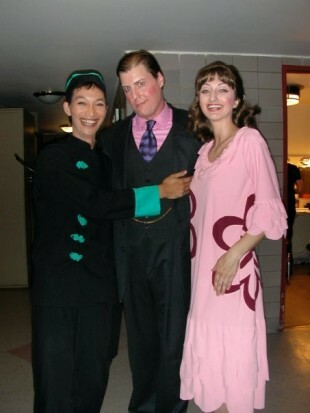 Backstage during "Thoroughly Modern Millie" with Four Seasons Theatre in Madison, Wisconsin. A lovely spot at Devil's Lake in Wisconsin. 2015: Oakwood Village Mondays at 7 Concert Series, Madison, WI, with Paul Ester. 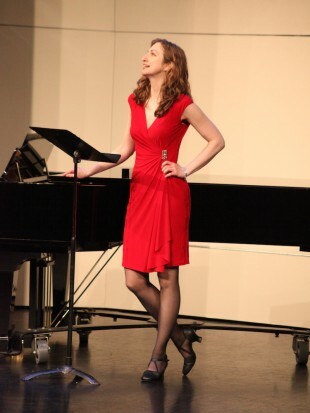 Playing Johanna in "Sweeney Todd" at the Janesville Armory. 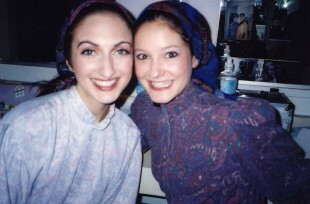 Backstage during "Fiddler on the Roof" at Drury Lane Oakbrook in the Chicago area. 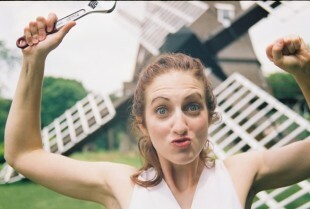 Fixing a broken windmill in the Chicagoland area. Hey, somebody's gotta do it. 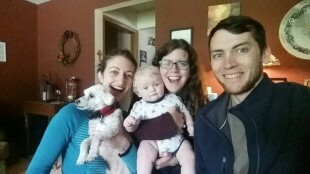 The "Arlington" rehearsal family. April 2016, Madison, WI. 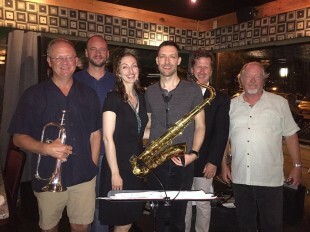 Sitting in with the Dave Larson Quintet, August 2016.